Olive oil is one of the healthiest substitute for any fat used in any cooking recipe. Try substituting butter or shortening with olive oil. People who live in the Mediterranean countries have some of the lowest mortality rates in the world from cardiovascular-related diseases. There are many researches showing positive links between Mediterranean diet and olive oil, which is their main source of fat. Olive oil is the most easily absorbed edible fat. Using olive oil in place of saturated fats as the main fat in your diet may actually help reduce cholesterol levels. You can bake with olive oil. Just substitute the same amount for the fat called for in the recipe. The result is moist, even textured cake with a tender crumb. You can fry with olive oil. When used in frying, olive oil coats food instead of being absorbed. It also contains high amounts of antioxidants and can be reused 4-5 times before being discarded. Other fats and oils can only be used twice. There are numerous varieties of olives, and olive oil is the only cooking and salad oil that offers a variety of natural flavors – no two are alike. Olive oil can keep for 2 years or more if unopened and stored properly. Olive oil can keep even longer than any other oil, if stored in a cool dark place. Olive oil is the second best-selling type of oil and the fastest growing segment of fats and oils in the United States. 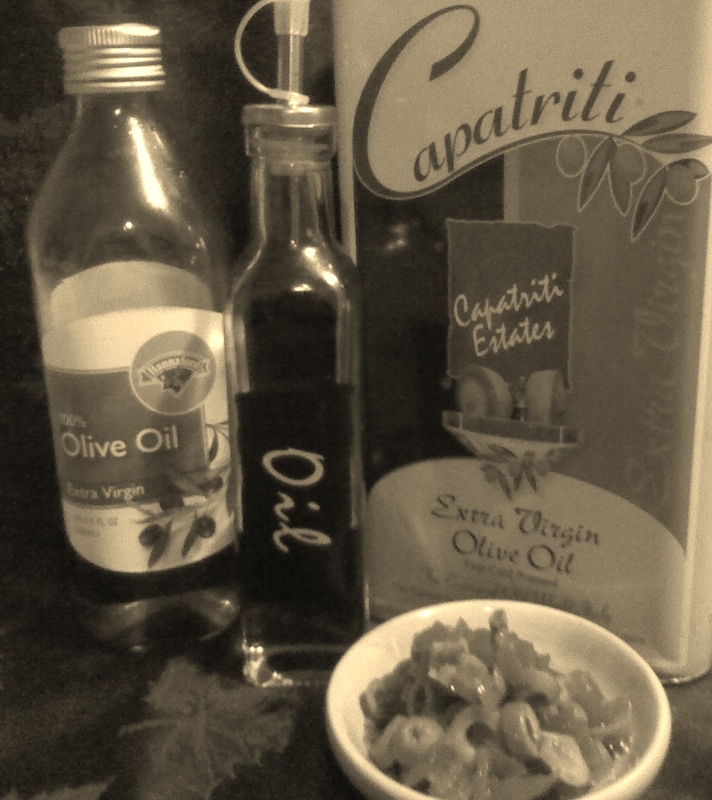 Love using olive oil….glad to know its good for me…. I went to an olive oil tasting at the home of a girl friend who travels to Italy annually. All the different colors, clarities, and flavors were amazing. We dredged tiny pieces of plain bread through plate after plate of oil. After we picked our top three individually and then the all around winner, she gave us the history, region, species etc. Like wines, there are tons of choices and facts to learn… when they are picked and how is very important as well….who knew? Isn’t it just the best thing ever? I remember once reading of all the uses olive oil had for the Phoenicians, Greeks, Romans, all Mediterranean cultures really. Good to know it hasn’t been lost! Thanks for sharing this. I love olive oil and use it for nearly all my cooking! P.S. Thanks for subscribing to my blog via email subscription. I have recently changed blog host and lost all my subscribers so if you would like to continue to get updates please sign up again using the email subscription form on the right sidebar. Thank you! We grow olives and make our own oil – enough for plenty of use for the year and presents to the family, It´s amazing too how the taste of the oil changes over the course of the year. I love it when it´s just pressed and very peppery and tangy! Wow thats really great….do you send them to places for sampling?? Spread the love of olive oil. I use olive oil in every dish, always grew up with it being the only oil being used in our house. Love it.